November 22, 2017 update: ecobee is now looking for “product pilots” to test the new ecobee switch+! Apply here. You’ve probably heard of Alexa by now: Amazon’s voice-activated assistant does everything from adjusting your lights to adding stuff to your shopping list. When Ecobee announced Alexa integration in its May 15 update to its flagship thermostat, we weren’t surprised. After all, Alexa’s getting integrated into, well, everything these days. 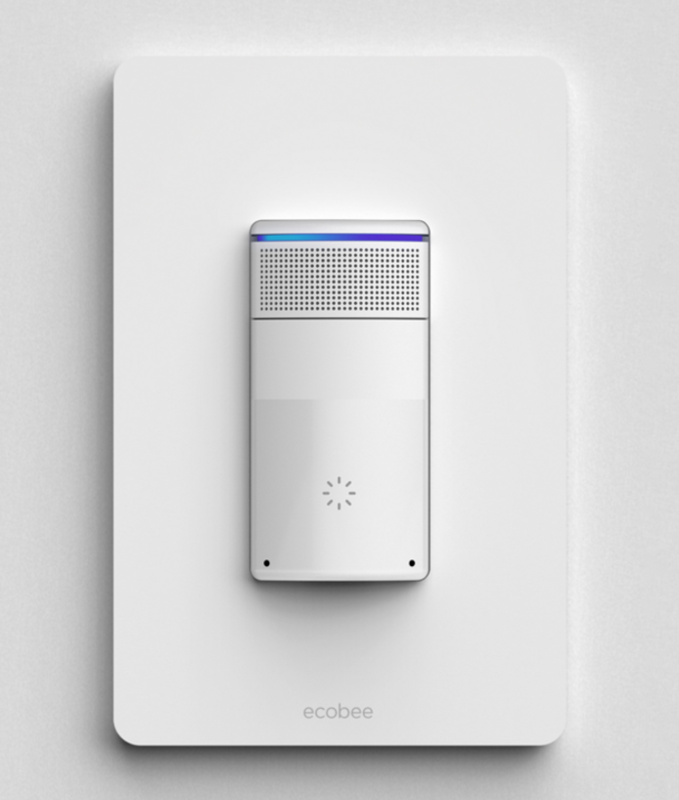 What did surprise us was the totally unexpected announcement of the ecobee smart light switch! It makes perfect sense, though: with one of these in every room, you’ve got voice controlled access to everything Alexa can do, including control over your home’s temperature. It’s Alexa + a temperature sensor + a light switch, all in one. Launching later this year, it will be sold separately from the thermostat (and, as far as we can tell, functions independently of an ecobee thermostat). Details are sparse right now (they haven’t even given a release date), but the light switch has a (tiny) speaker and microphone, sensors to detect whether someone’s in the room, daylight, and a thin blue light bar to animate when Alexa speaks. We’re excited – Alexa has been part of our household since the Echo’s launch, and this light switch looks like a great way to add Alexa to more rooms.